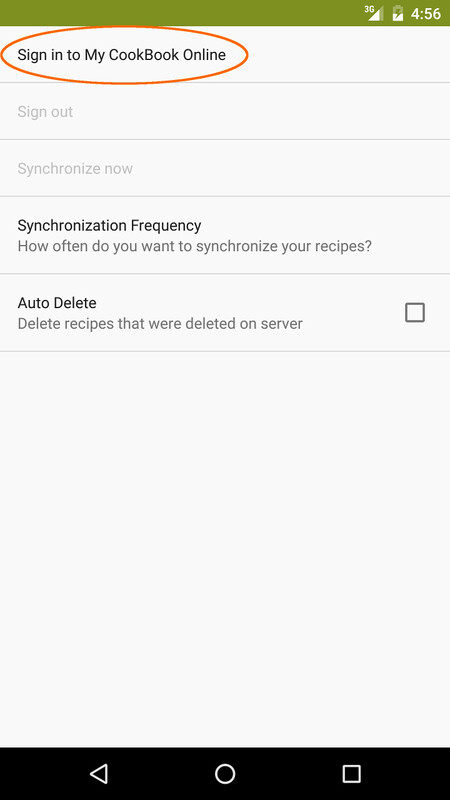 I am logged in appropriately according to the synchronization instructions, however the edits I make on the app do not synch back to the online cookbook. When I view the recipes online none of the ratings or adjustments I made in the app show. 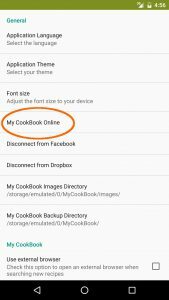 How do I get the app to synch back to the online cookbook? 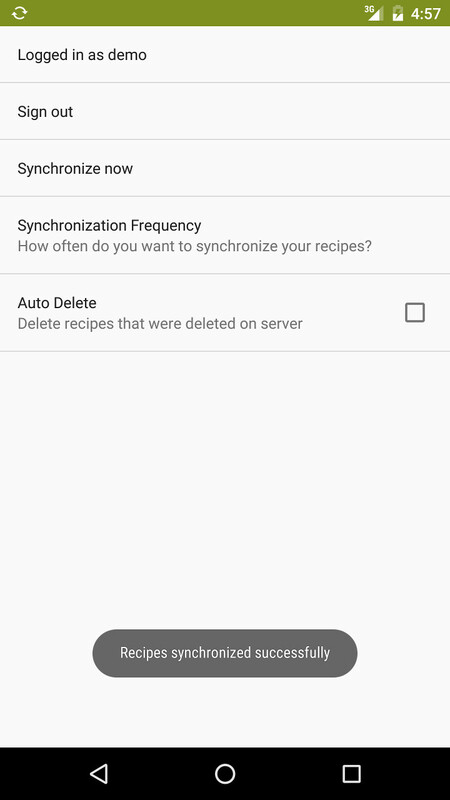 Hi, You can use the refresh button in the recipe list page to run a synchronization. 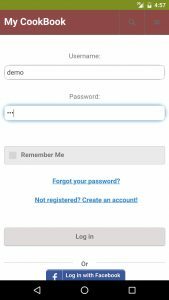 Hi, currently we don’t have such feature…. I have upgraded to premium (3 month subscription) but my app still gives me the message that I have to upgrade. Hi Lizelle, it seems you have several My CookBook Online accounts. 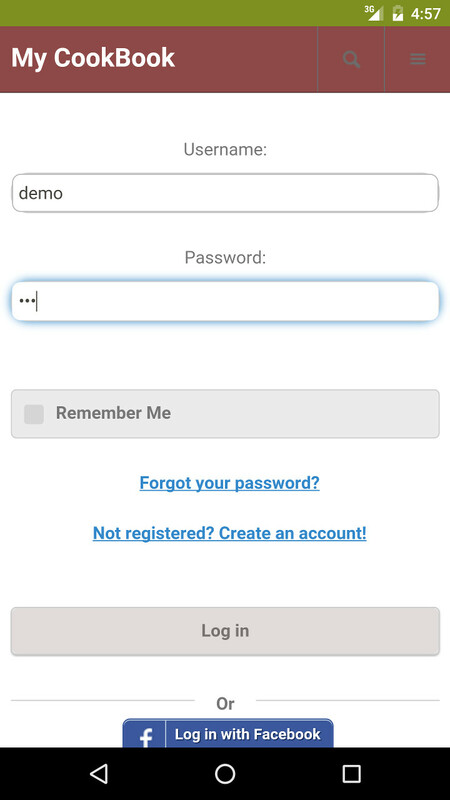 Check you are linked your Android app with your right account. 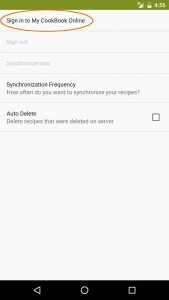 Does sync move the 33 receipes to my phone too? 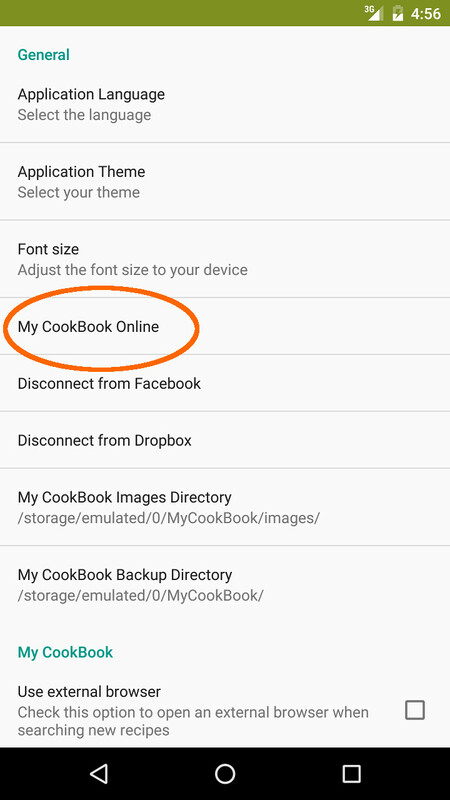 If you have any issue please contact support here : https://mycookbook.zendesk.com. Thanks! I opened a free online account after i had been using the apps on my tablet and phone. Ive had it longest on my tablet and want to know how to get all the receipes from tablet to phone? Hi, just signed up for a paid account. Syncing mostly worked in the online app, but my changes there are not syncing in my tablet app. Is there something else I need to do? 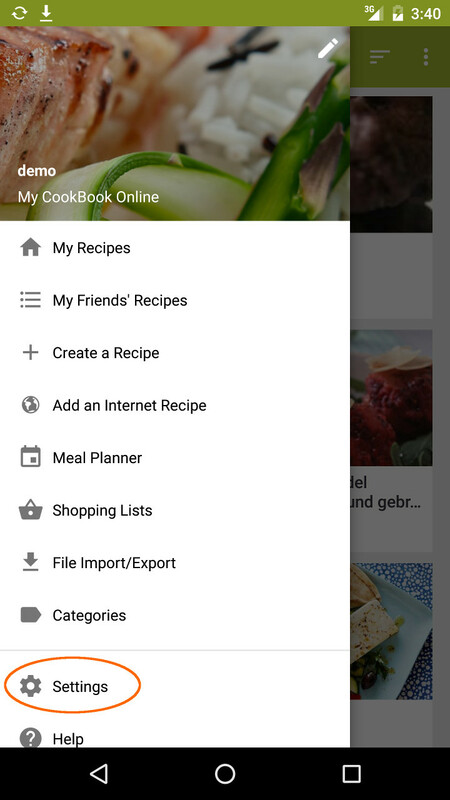 Have you linked your tablet with the same My CookBook Online account ? 1. 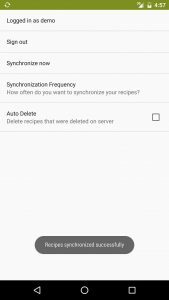 Online, I added some recipes, but they don’t show up on my tablet app. 2. 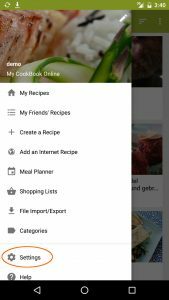 Online, I added or deleted photos on a recipe, but the photos don’t show on the recipe on the tablet. I love this app! 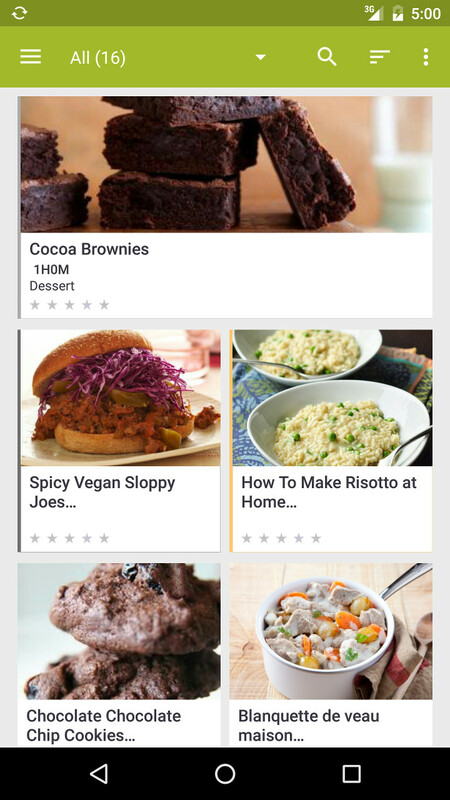 The only issue I am having is that I get a different number of recipes depending on which device I am looking at. There are 55 on my phone, 21 on my tablet and 19 on my windows computer. 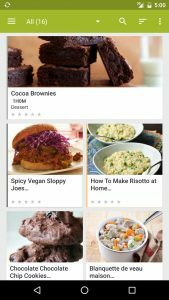 If you look at your phone, do you see a black line on the left of a recipe that is missing online?